Situated on an altitude of 300 meters the grapes from the cool Röschitz vineyard have their roots planted in meagre, primary rock soils with granite and shallow loess topsoil. 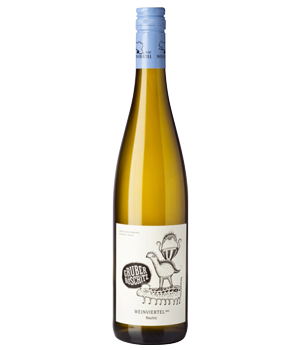 These extreme difficult conditions and a reduced yield bring forth crystalline, yet fruity (lime, pear and pears) and elegant style of wines from Austria’s favorite white grape. Light and peppery on the palate, and refreshing with spicy food in this hot climate.